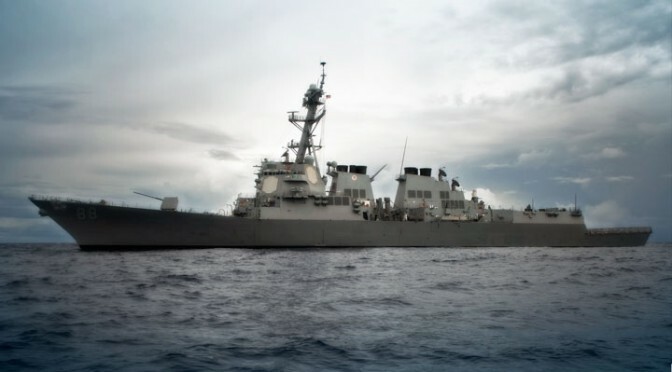 As the US Navy begins to pivot away from dependent tactical group paradigms and towards more independent striking units under distributed lethality, it will become increasingly necessary to revise our operational dynamics. The rapid increase in communications and tracking has led to an era in which a remote admiral can guide the hand of all units under his or her purview. We must resist such temptations. The remote warfighter knows significantly less than the commanding officer (CO) on the scene. Moreover, the administrative and procedural burden placed upon these commanding officers has sapped much of their tactical creativity and tenacity, as Ian Akisoglu has argued. Equipping ships with upgraded combat systems is all well and good, but the warfighters who utilize them and their operational paradigms must also be upgraded. We must decentralize tactical authority back down to the unit level and significantly enhance tactical knowledge and creativity. The Naval Surface and Mine Warfighting Development Center (NSMWDC)’s Warfare Tactics Instructors (WTI) program is a huge step towards a low centralization, high unit proficiency operational model. As these WTIs spread throughout the Fleet disseminating ideas and rising to command, we will see a manifest change in unit-level tactical understanding and ability. However, the WTIs alone cannot overhaul our tired Preplanned Responses (PPRs) and outdated doctrines. They need to be empowered with the flexibility and out-of-the-box thinking that are the hallmarks of successful, evolutionary organizations. Our overly rigid combat procedures cannot handle the complexities of gray wars and supersonic conflict. Hence we must accomplish this shift through both the WTI program and a cocktail of long-term reforms: create accelerated CO pipelines with longer CO billets, enhance and widely distribute warfighting simulators, expand Personnel Exchange Program (PEP) billets, and form an across-the-board “task force” to resolve the over-management of unit commanders. 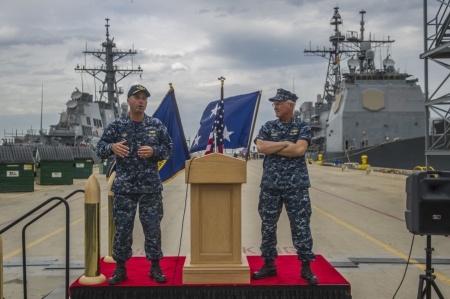 Vice Admiral Tom Rowden and Rear Admiral Jim Kilby speak at the inaugural ceremony of the Surface and Mine Warfare Development Center in June 4, 2015 (US Navy Photo). The Surface Warfare Officer (SWO) community has long suffered from having truly great officers mired in bureaucratic office jobs while their surface skills atrophy. Yes, it is crucial that our rising stars learn from staff and Pentagon billets, but their command leadership must be prioritized if they are to be retained. As VADM Rowden explained during the previous distributed lethality topic week, “Distributed Lethality is MUCH more than just putting more missiles on ships—it is about investing in warfighting expertise.” In this spirit we must push our rising stars to the tip of the spear as fast as possible. We must provide an accelerated command pipeline for our most able officers if we are going to get the elite commanding officers that are the bedrock of distributed lethality’s effective implementation. By giving these high potential candidates more early command opportunities and accelerated pipelines to CO/XO billets, we will keep our best and brightest plugged into the Fleet with the latest tactics. USS Barry (DDG 52) steaming in the Mediterranean Sea. Far too many officers have wasted years waiting for command only to then get short 12-15 month stints. This is a misunderstanding of what kind of commanding officers we want and how to utilize talent. A crew does not care about making sure every decent SWO gets the opportunity to command, they care about having the best CO possible. We push for quantity over quality for no real end as most post-command SWOs go on to do staff and other mostly dead-end oversight-based administrative jobs before retiring. Instead we must focus on providing our best prospective command officers with multiple years of command and sea time in order to make them the great, salty warfighters we need in future conflicts. This adjustment will also renew Sailors’ faith in the position of CO as an elite surface warrior. One talented, highly-experienced CO with three years of DDG command is more valuable than three “good” quick-stint COs who are not able to come into their full leadership and warfighting potential in such a short time. If a CO is doing a great job, then there is no reason to rotate him or her out at 15 months just to let another officer wear the crown. Bureaucracy and entitlement should not get in the way of us accelerating, retaining, and utilizing the very best SWOs. No one should be destined for CO just because of good FITREPs. Only our very finest should assume command, and they should do so for multiple years to gain the critical, diverse experiences required of a true warfighting commanding officer. By allowing the best SWOs to skip obligatory shore duties and be screened early for command, and allowing more fleet elements to be commanded by early command LCDRs, we can offer an enticing value proposition to our most elite SWOs and keep them firing on all cylinders on their path to being the world’s finest naval captains. These COs are the glue that will make distributed lethality effective in practice. Another crucial step is rolling out well-made, easy to use, and highly accurate warfighting simulators. These can proliferate at all levels and will have demonstrable impacts on units’ tactical knowledge, understanding, and performance. As a child I played Jane’s Fleet Command (1997) ad nausem. In the process I became an 8 year-old who could speak intelligently about Exocet missiles and the dangers of submarine operations in the Taiwan straits. By allowing SWOs to continuously fight the enemy, wargame, revise tactics, and practically learn of the world’s military capabilities, we will have a more engaged and competent cohort of warfighters. We must find a way to leverage the enormous advances in computing technology and wargaming in order to best equip the minds of those who will be on the frontlines in future conflicts. Drills, PowerPoint, and brief-based schools are banal compared to the image of a cruiser being struck by an SS-N-22 while you scramble an F-18 squadron to counterattack against a flotilla of enemy DDGs hiding in the shadows of mountainous islands. Instinct and competence are forged in the fire of conflict, so – sans conflict – we must utilize highly-realistic simulators as the best alternative. 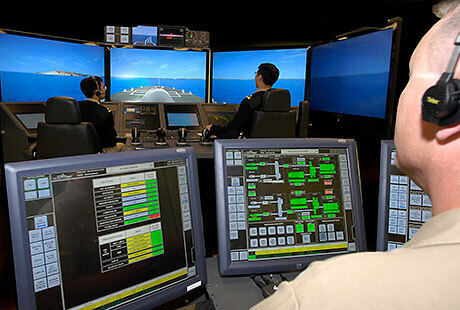 LCS simulator used to prepare crews (Lockheed Martin photo). Moreover, our officer corps must not remain a closed system, an echo chamber of similar sounds. In order to best equip our frontline leaders with a diverse understanding of how to fight and know how other navies think and operate, we must go to these other navies. Seeing how a foreign navy functions can be incredibly illuminating and provide crucial perspective on what we do right and how we can improve. From the Dutch to the Japanese, we have a broad array of powerful naval allies who use alternative systems and doctrines to pursue their national maritime objectives. The Personnel Exchange Program (PEP) as it exists today is a woefully inadequate means of accomplishing such an exchange of ideas. Only a handful of SWOs are able to participate and gain critical foreign insight and experience. By ramping up PEP, we will open our officer corps to a diversity of ideas, procedures, and technologies that can only help our critical thinking and tactical skills in unpredictable and complex conflict scenarios. The core of distributed lethality’s effectiveness will lie in COs’ ability to harness their wardrooms’ creativity and diverse experiences to fight unexpectedly in spontaneous, unusual battlefields. This skillset can be enhanced by observing and understanding other navies and their methods. Ultimately, the most critical and immediate reform that is necessary is a Task Force designed to peel back the red-tape and operational micromanagement of COs. This group would be composed of all levels of officers from ensigns to admirals. It would discuss and delineate exactly which procedures and processes are absolutely necessary for a flag officer to control and kick all other authorities back down to the unit CO. 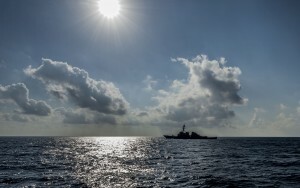 In combat there is no time to wait for the admiral’s move; the unit commander must be able to execute in an innovative and effective manner in order for distributed lethality to succeed. The CO needs to feel that they are the one fighting a battle, not their boss a thousand miles away. All too often we are slaves to procedure and protocol even when they don’t make tactical or operational sense. This environmental context is the key to tactical victory and must be exploited, not glossed over by a PPR. In the end, distributed lethality can only succeed if it is executed by well-versed, innovative, and empowered commanding officers and their crews. If individual units cannot fight independently, then distributed lethality will become little more than beefed-up units operating in the same defensive strike group arrangements we currently utilize. Therefore the solution to our current tactical weakness is twofold: restrain over-management and bureaucratization while enhancing opportunities for our best talent in order to produce independent, highly capable warfighters with the operational latitude to sink fleets and win wars. We must do everything in our power to make this a reality now before the first missiles fly in a hot conflict. ENS Daniel Stefanus is an associate editor at CIMSEC and a graduate of the Duke University NROTC unit. He currently serves as the Electrical Officer onboard USS ANCHORAGE (LPD 23) in San Diego, CA. The views expressed here are his own. Agree that: “We must decentralize tactical authority back down to the unit level and significantly enhance tactical knowledge and creativity.” However I would hasten to add that combat systems have to evolve to support this concept. For example, capabilities to take full advantage of near realtime offboard information from active and passive sensors, cryptologic systems, and intelligence analysis to support surface operations when in EMCON; and in particular, the decisions if and when to transition to active RF and acoustic operations. This integration of ship combat system and off board information will require leadership to overcome organizational resistence within OPNAV; NAVSEA; SPAWAR; and, PEO IWS and PEO C4I.